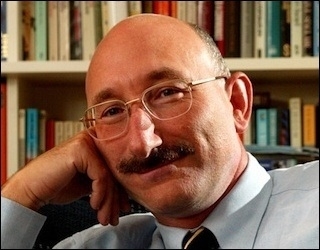 As readers of this journal know by now, David Cesarani, Professor of History at Royal Holloway, London University and a prolific scholar of Jewish and European history, died at the terribly young age of 58 on 24 October. His death is a terrible shock and very significant loss to the scholarly and intellectual world. From across the Atlantic, I came to know David first through his published works, at several conferences in England and the United States and as a guest in his home on a short research visit to London. I saw the intelligence, engagement and warmth that earned him the respect and affection of so many colleagues in England and elsewhere. 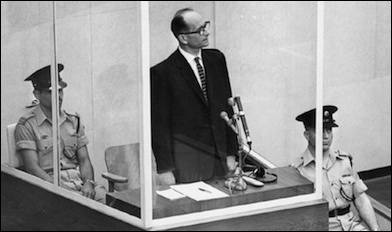 Of David's books, I found his 2004 work Becoming Eichmann: Rethinking the Life, Crimes and Trial of a 'Desk Murderer to be especially important. David was not the first historian to challenge the view of Adolf Eichmann that became world famous due to Hannah Arendt's misleading depiction in her 1964 work Eichmann in Jerusalem. Yet he was the first to offer a sound biography that drew on many archives in Argentina, Austria, Germany, the United States and Israel. He made a compelling case regarding the depth of Eichmann's deep seated anti-Semitism and the remarkable initiative and autonomy he displayed in his role during the Holocaust. Cesarani brought important aspects of Israel's capture and 1961 trial of Adolf Eichmann to the attention of an English-speaking audience. Cesarani was also first of historians writing outside Israel who came up with a seemingly obvious yet previously neglected idea. It was to read Israel's pre-trial interrogation of Eichmann as well as the transcript of the Eichmann trial itself, one that was readily available in nine published volumes, five of which were available online in English translation. The transcript includes the verdict written by the three Israeli judges, Benjamin Halevi, Yitzak Raveh, and Moshe Landau. David Cesarani's accomplishment lay in part in bringing the judges' verdict to the attention of an English speaking audience. For the forty years from 1964 to 2004 what the Israelis who knew the most about the case and who had studied it most closely had played almost no role in the international discussion of Eichmann. Instead, it was Arendt, who was absent for many weeks of the most important parts of the trial, who dominated a global view of a man driven by bureaucratic punctiliousness and mindless obedience to orders. David Cesarani thought it was long past due that the judgments of Judges Halevi, Raveh, and Landau be made well-known. Cesarani showed the verdict reached by Israeli judges to be deeply informed and balanced. David described their verdict as "one of the finest synthesis of historiography of Nazi persecution and mass murder of the Jews to be produced in that era." (Becoming Eichmann, 308). As he brought the view of the Israeli judges to the attention of his readers, it is appropriate to quote him on that subject. The judges, after considering the evidence and examining Eichmann themselves, concluded that he was a Nazi true believer filled with hate for Jews: "this hatred was cold and calculating, aimed rather against the Jewish people as a whole, than against the individual Jew, and for this very reason it was so poisonous and destructive in all its manifestations." Of course he was not unique and he did not act alone, but he stood at the very centre of the genocide. His post-war utterances and conduct under interrogation and in court indicated to the judges that he had not repined. He had lied and denied in order to evade conviction. The judges even paid him a backhanded compliment. "His attempt was not unskillful, due to the qualities which he had shown at the time of his actions—an alert mind, the ability to adapt himself to any difficult situation, cunning and a glib tongue." (Becoming Eichmann, 312). By informing readers of the nuanced, balanced, deeply informed, and sophisticated legal and historical verdict reached by the judges in Jerusalem, Cesarani shattered decades of condescension and ignorant neglect that had for too long obscured from global view "one of the finest syntheses of historiography of Nazi persecution and mass murder of the Jews to be produced in that era." When he thought the Israelis were wrong, David was not reluctant to say so. But as was apparent in the fine and enduring work Becoming Eichmann, when he thought the Israelis were right, he did all he could as a historian to bring their good judgment to the attention of his readers. Doing so was one of many fine moments in his distinguished career. David's death at this absurdly young age is a terrible loss for his family and friends as well as a great loss to the international community of scholars. His example of courage, fairness, and the historian's craft should inspire a young generation as it has inspired and taught those of us who had the good fortune to know him and to benefit so very much from his scholarship. Jeffrey Herf is a professor of History at the University of Maryland-College Park and a fellow at the Middle East Forum.